Next week, defendants named in a wrongful death suit filed by the parents of three-month-old Makibi Olayuk Timilak will request that a judge summarily dismiss the allegations against them. The civil court hearing, set to unfold at the Nunavut Court of Justice in Iqaluit, Dec. 13, is the latest chapter in a sad story stretching over five years that spawned several lawsuits, government reports and a special coroner’s inquest investigating the circumstances of the infant’s death. The mother and administrator of Baby Makibi’s estate, Nevee Elisapee Akesuk, is suing the Cape Dorset health centre, the Commissioner of Nunavut, nurse Deborah McKeown and another nurse identified as “Jane Doe,” for damages connected to the wrongful death. Makibi was pronounced dead on the night of April 5, 2012, after his parents awoke to find him unresponsive in their bed. A few hours earlier, his mother had called the Cape Dorset health centre reporting that her baby was unwell. But McKeown, the centre’s on-duty nurse, did not tell her to bring the child into the clinic. Instead, she suggested that Makibi be given a warm bath and put to bed. That advice is contrary to two different Government of Nunavut nursing policies that say infants with symptoms of ill health must be assessed in-person at the health centre. At a coroner’s inquest into the incident last year, Joseph de Nanassy, a coroner from Ontario, said he made a mistake when he first concluded the baby died of a lung infection from a virus call CMV, and that it’s very likely the child died of sudden infant death syndrome or SIDS. Two other pathologists who later looked at the evidence supported the finding of SIDS. Makibi’s mother is seeking $75,000 in damages under the Fatal Accidents Act, as well as unspecified amounts of money for legal costs, funeral and counseling expenses, grief and loss of income. 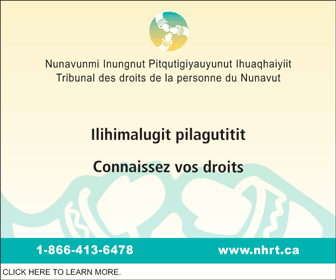 Workers at the Cape Dorset Health Centre “owed a duty to [Makibi] to skillfully, prudently and thoroughly diagnose, care and treat [him] and that [his] death was caused by the breach of contract or negligence of one or more of the defendants,” according to the 2015 statement of claim filed by Makibi’s mother. The suit alleges the nurses were negligent by failing to properly investigate the baby’s illness when the mother called the centre. 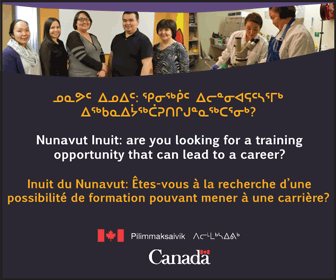 It also alleges a failure, on behalf of the health centre—and the Government of Nunavut—to properly employ or train competent physicians. The defendants in the case, who are all represented by the same GN legal team, filed a notice of motion with the court in October requesting that the civil suit be dismissed with a summary judgment on the grounds that any relief sought under the Fatal Accidents Act must be brought within two years of the death of the deceased. According to court documents, the defendants’ motion also cites the “undetermined” cause of death listed in the jury’s verdict at the special coroner’s inquest into Makibi’s death last year. “The medical evidence supports a cause of death that is not related to anything done or omitted by any of the defendants,” the motion states. When a motion for dismissal is brought before the court, lawyers have an opportunity to debate the motion before a judge issues a ruling. If a judge determines the case has no merit, he or she can issue a summary judgment ruling, which prevents the case from continuing to trial.